Bad Kleinkirchheim is right in the homeland of the famous skiing champ Franz Klammer. You’ll find 90km of marvelous ski runs and, of course, the fabulous spas and hotels offering thermal treatments, wellness benefits and all-around relaxation. This season, a new 8-seat panoramic view cabin lift has been added at Bad Kleinkirchheim. There are over 200 acres of terrain for skiing with 27 lifts to service the slopes. 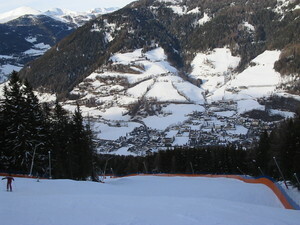 Bad Kleinkirchheim has cross-country skiing throughout 46 kms of its range. Stayed in BKK in March 2015. Sadly for us, not the best snow this season, but we were very impressed by the amount of effort put into keeping what snow was there, in a skiable condition. We stayed at the Eschenhof Hotel and it was fabulous. Friendly helpful owners and staff. We will certainly make a return visit to this lovely spa town and fingers crossed there will be more snow as the slopes will be amazing.